Many Bloodborne players hit difficulty walls early in the game, and wonder how they can level up their character to make it easier. The bad news is, you cannot level up your character until you’ve made your way either to a boss arena or found a Madman’s Knowledge item. The reason for this is that the Doll in Hunter’s Dream, who allows you to level up, will not appear to be alive until you have one point of Insight. Visiting a boss arena awards you one point of Insight, as does consuming a Madman’s Knowledge. So if you need to level up, you’ll have to make it to one or the other of these. 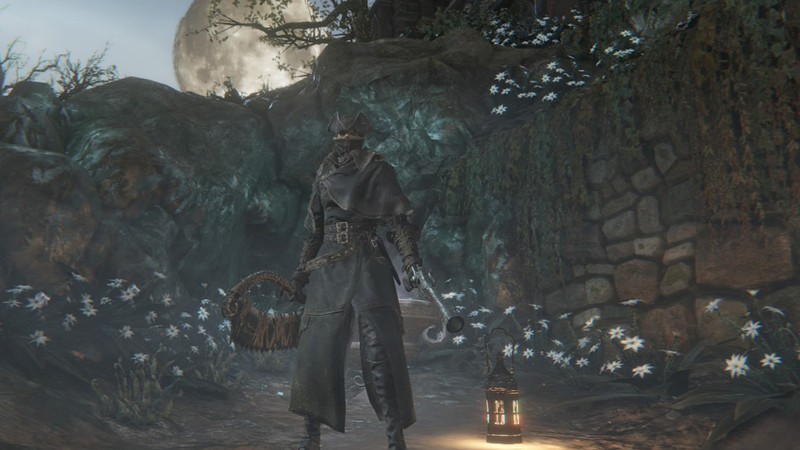 From the Central Yharnam lantern, take the initial path till you cross a bridge and are ambushed by a Henchman. After dispatching him, look opposite where he was standing for a place to drop down to the next area. Run past all the baddies here (there are loads!) to a small tunnel on the opposite die. it’s on the left of the big shaking gate, as you face it, and you’ll need to climb some stairs near the bonfire to get there. In this next section you’ll need to take down the Brick Brute pounding on the back of the gate, and the Henchmen and Hounds on the upper area. The next obstacle is a pair of Netherbeasts on the bridge. Run past them until you see a henchman on the left; nip past him down the stairs into a dark room. You’ll be ambushed and have to fight two or three Henchman. Turn the brightness on your screen up. You can now stand back from the door to this room and whack at the Netherbeasts with the long form of your weapon until they die. Once it’s safe to come out, move further down the bridge. there’s a Brick Brute and several Crazed Crows, but just keep running past them. Let the Cleric Beast kill you and you’ll be returned to Hunter’s Dream. You’ll have one point of Insight and the Doll will be active. You can now return to Yharnam, farm Blood Echoes from the easiest enemies here, and level yourself up a bit. This is probably essential for Waste of Skin builds. If you really can’t make it to the Cleric Beast, you can try following our walkthrough to reach the first available Madman’s Knowledge. If all else fails, re-roll with a character with higher vitality and try again; you haven’t achieved much yet, I’m afraid.